Opinion: What The Death Of A 7-Year-Old Migrant Says About This Country A 7-year-old migrant died recently in custody of the U.S. NPR's Scott Simon reflects on what this death says about the U.S.
U.S. Border Patrol next to the the border wall dividing Nogales, Ariz., and Nogales Mexico. I do not doubt that U.S. Customs and Border Protection agents did all they could to try to save the life of Jakelin Caal Maquin, a 7-year-old girl from Guatemala, who died in the custody of the United States. The little girl and her father were among a group of more than 100 migrants who turned themselves over to Border Patrol agents last Thursday night, Dec. 6, after they had crossed the U.S.-Mexican border and trudged through a rugged, isolated area of the New Mexican desert. The girl and her father were placed on a bus. She was reportedly not breathing by the time she arrived at a Border Patrol station, about eight hours after she had been placed in custody. Emergency medical personnel found the little girl had not had food or water for days. She had a temperature of 105.7 degrees. She was flown to Providence Children's Hospital in El Paso, Texas and less than a day later, Jakelin Caal Maquin died. 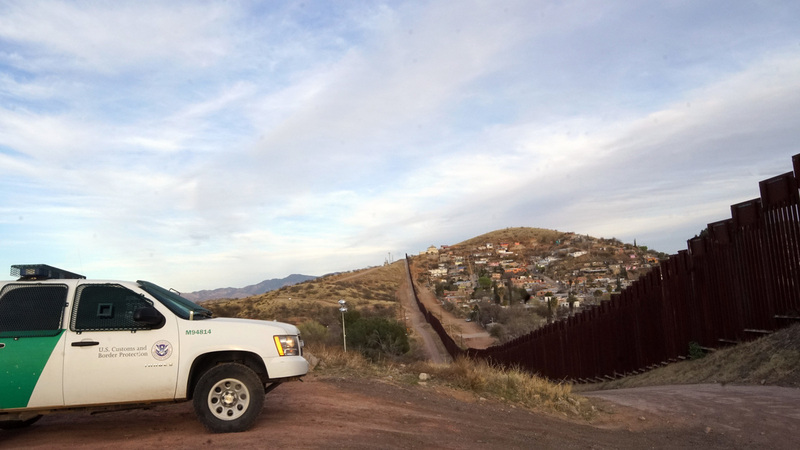 Border Patrol Commissioner Kevin McAleenan said, "The agents involved are deeply affected and empathize with the father over the loss of his daughter. ... We cannot stress enough the dangers posed by traveling long distances, in crowded transportation, or in the natural elements through remote desert areas without food, water and other supplies." I've reported stories on Border Patrol agents. I know many of them are fathers and mothers from families with their own migration stories. Many agents talk about the times they have had to rescue people stranded in deserts or forests after they've crossed the border or saved people who have been savaged by criminal gangs and smugglers. There are thousands of children now in the custody of U.S. government. Even if you hold the family of the 7-year-old girl responsible for putting her life in danger to cross into the United States, you may wonder: Was a 7-year-old girl who had been taken in from the desert not given water or food for the eight hours she was in U.S. custody? And how can the president, who often contends the U.S. has never been better, stronger or richer, be astonished when thousands of families in countries that are roiled by crime, drugs and poverty decide to set out for the U.S. — whatever the risks — because they see it as what Lincoln called "the last best hope" of Earth? Jakelin Caal Maquin's father is now with a charity group in El Paso and told the Guatemalan consul that he has no complaints about the way his daughter was treated by the Border Patrol or medical staff. The Inspector General's Office of the Department of Homeland Security will investigate how Jakelin Caal Maquin died.